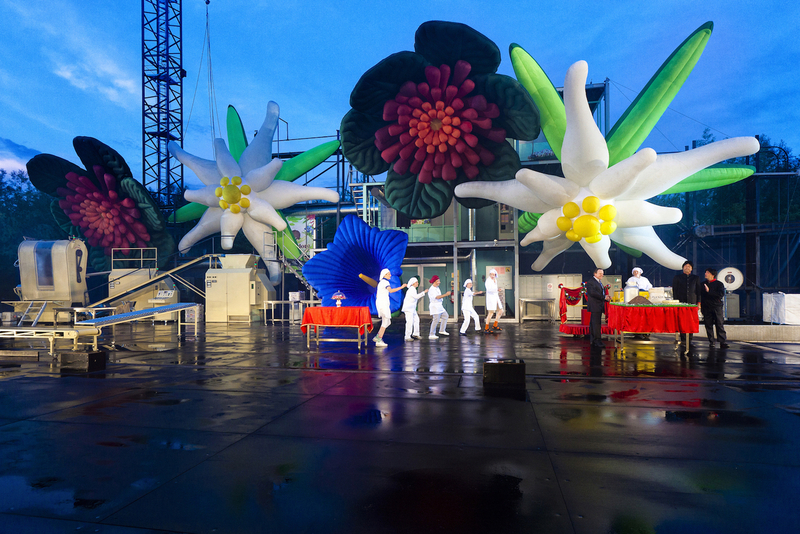 The Fabrikk show of Karl's kühne Gassenschau has already delighted over half a million viewers throughout Switzerland. 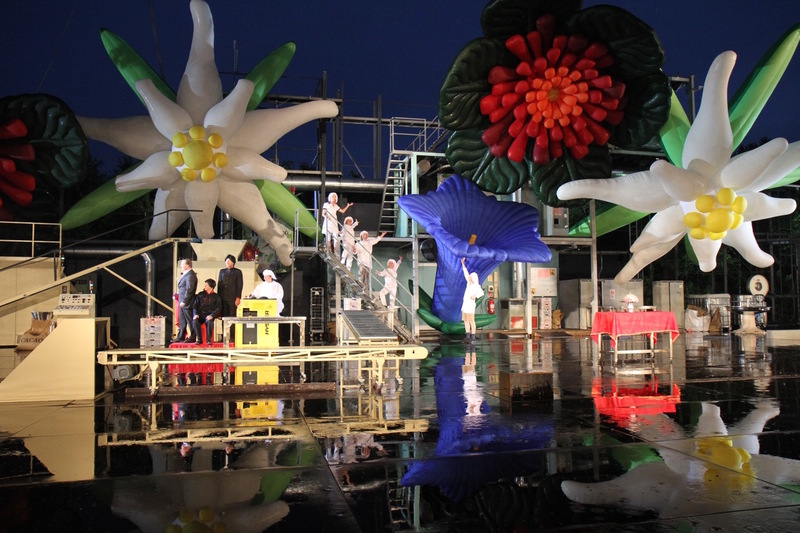 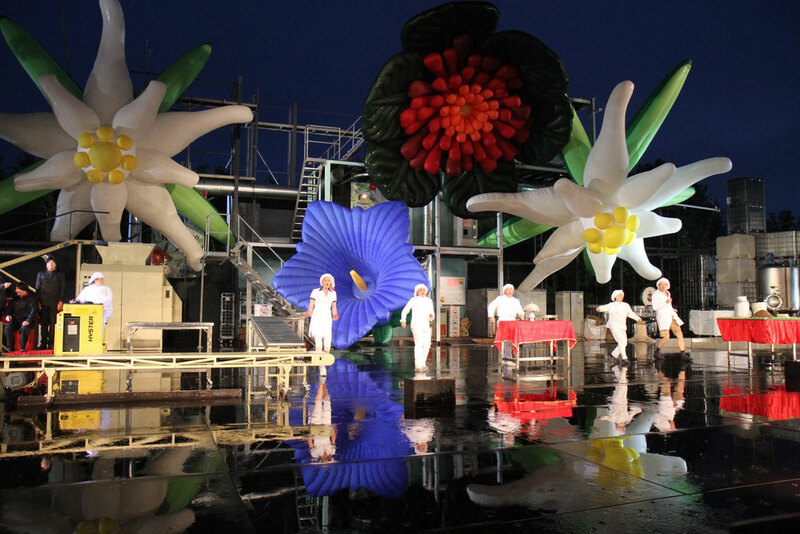 We are proud to have contributed to one of the many special effects: The five huge inflatable flowers are hidden in the stage design. 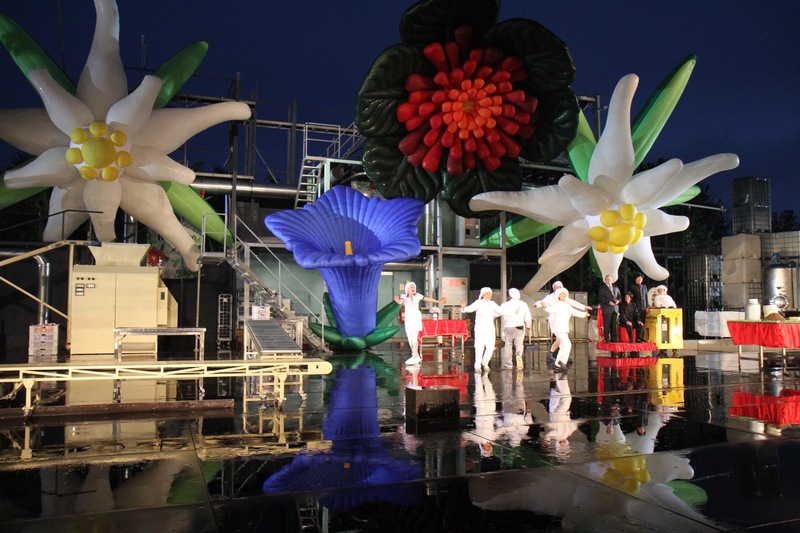 At the push of a button the stage is transformed into a huge sea of flowers. 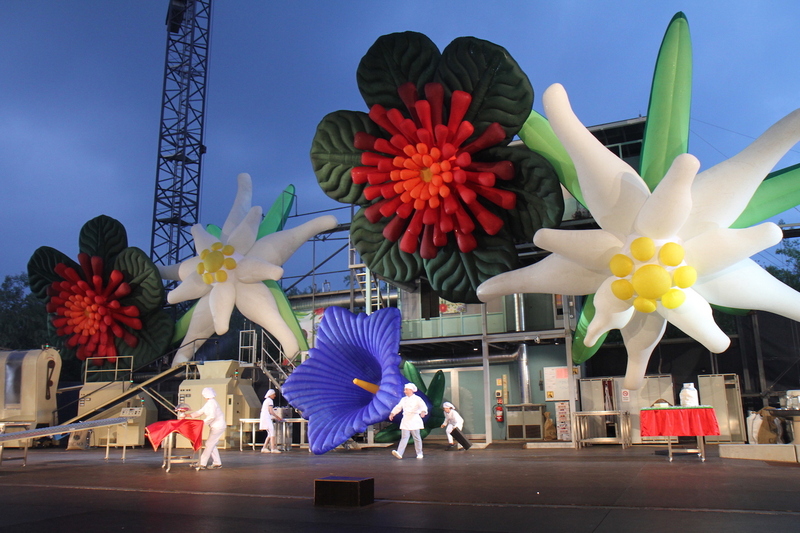 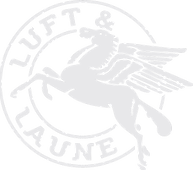 An inflatable special effect, especially developed for Karl's kühne Gassenschau.